Throw powerful balls of energy and go through an amazing universe of challenges in Spaceball Revolution! You're about to embark on the most addictive experience in recent years. Steer your way through fifteen diabolic levels in which you'll have to reconstruct impossible figures, helped by space energy balls. Race against the clock and the obstacles to activate the correct boxes. 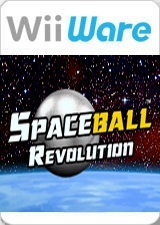 Spaceball: Revolution will put your ability and your concentration to the test to the utmost. Spaceball: Revolution lets you compare your score with the best players world-wide in the different difficulty levels: Easy, Normal, Advanced and Master. Spaceball: Revolution challenges you. Are you ready? The graph below charts the compatibility with Spaceball Revolution since Dolphin's 2.0 release, listing revisions only where a compatibility change occurred. This page was last edited on 22 January 2018, at 02:59.